Even if you don’t have a dog or are even a dog person, most of you are probably aware that a mastiff is a pretty big pup. That’s why this story is so incredible. 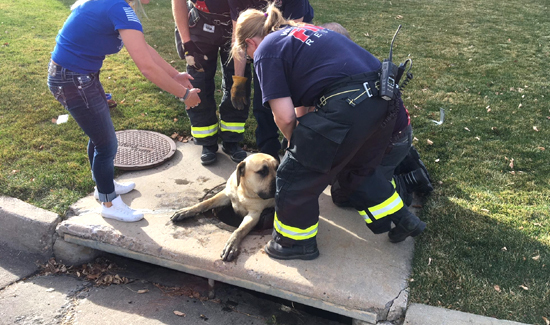 Thankfully our friends at West Metro Fire were able to rescue them safely. 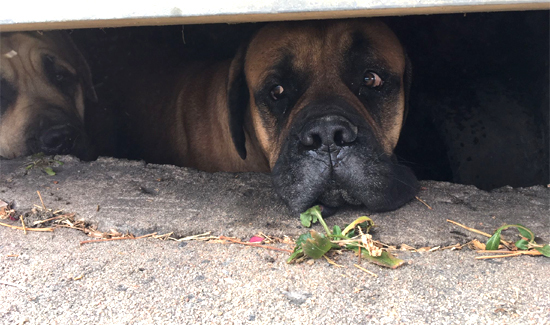 Animal Control Officer Hubrecht spoke with the owner about the dangers of dogs running at large and the owner purchased dog licenses on the spot. We’re happy this story had a happy ending for everyone. And whether you have four legs or two, we’ll be here if you need us, JeffCo.